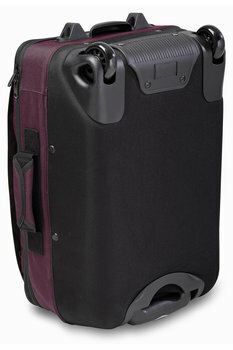 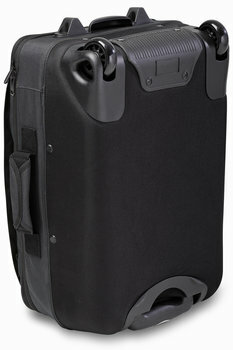 Carry-On with Confidence: It easily fits in the smaller overhead bins common to European airlines. Zip-Out Expandability: Gain an extra 2 inches of cargo depth in a pinch (making it "fatter" than the carry-on limit, but perfect for checking). Outside: The classic, Rick Steves outer-pocket design gives it a clean, efficient look. 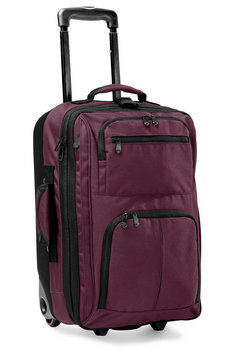 A full-length side zipper opens to reveal a 12" x 20" compartment (perfect for a jacket). Three additional front pockets, a pair of padded grab handles, and an add-a-bag strap (adjustable and removable) complete the outside. 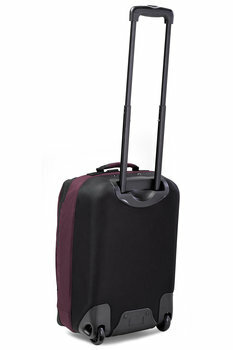 Rock and Roll: The twin-shaft, two-stage handle and wide-stance (10½-inch track) wheels make our Rolling Carry-On rock-solid over uneven surfaces. 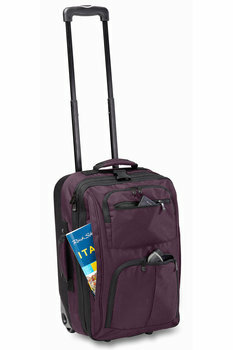 Your Choice: Our Rolling Backpack is also sized to be European carrier-friendly — and it converts to a backpack.